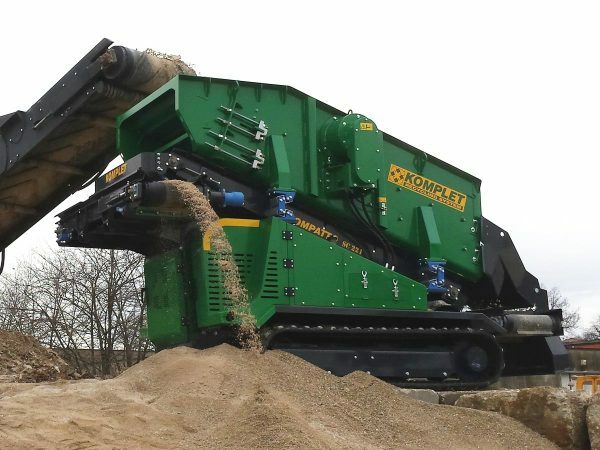 The KOMPATTO SC 221 tracked screening machine is the smallest self-propelled screening plant on the market today. 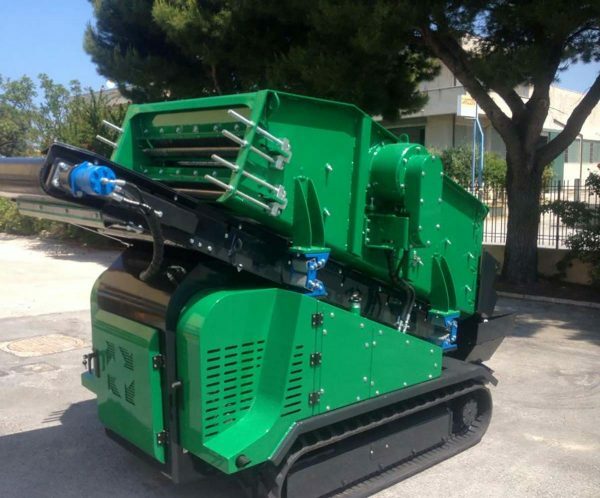 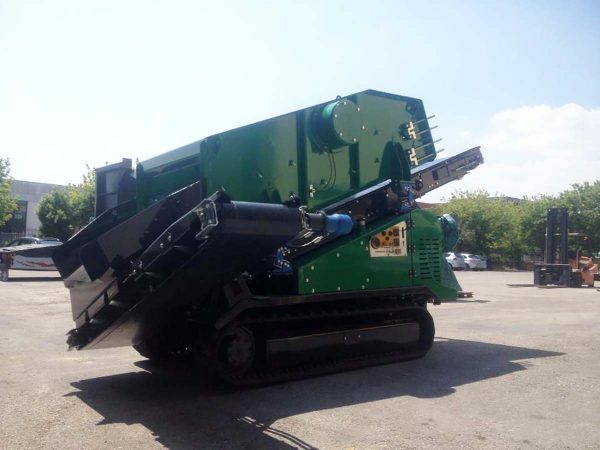 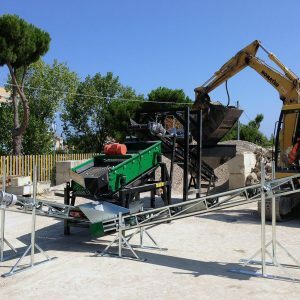 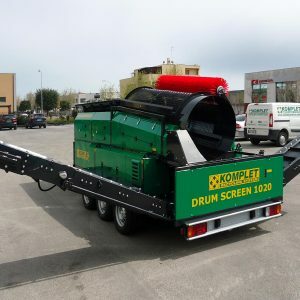 Lightweight, compact-sized and featuring a robust chassis, it was designed for rubble and debris screening of material coming from construction and demolition, excavations waste, compost, asphalt, rock etc. 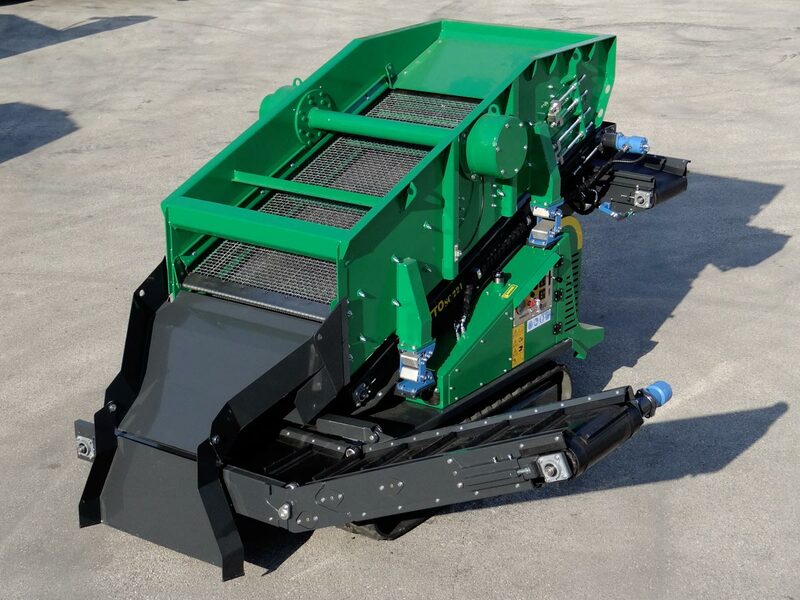 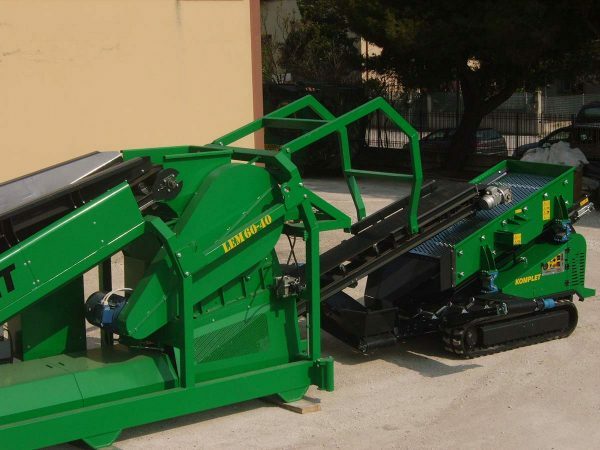 It features a vibrating 2.2×1-mt double deck with, interchangeable screens and meshes to meet all needs, and it also includes three extracting belts. 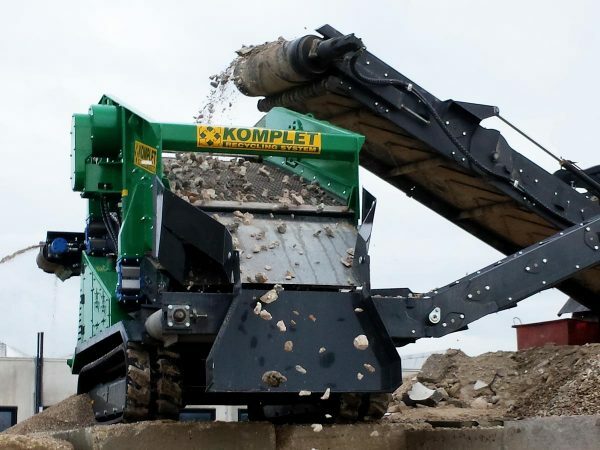 The KOMPATTO SC 221 model can be directly fed by an excavator or backhoe, it can also be fed by the crusher extraction belt or directly with the processed material. 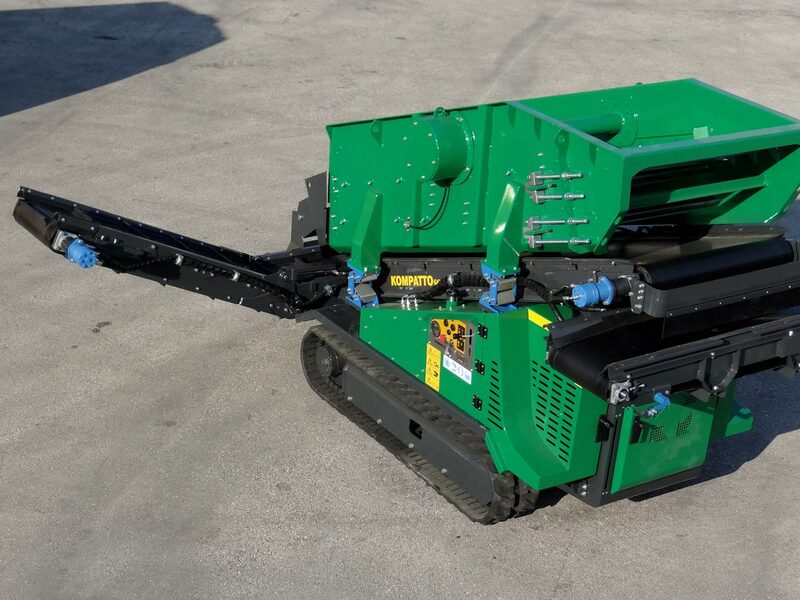 Its versatility, compact size and affordability, makes it unique. 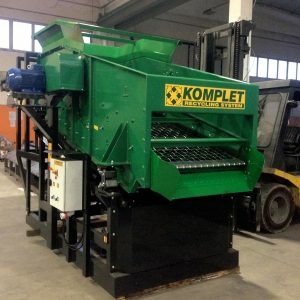 It operates in the most limited access areas, processing the same amount of materials as a large and much more expensive machine. 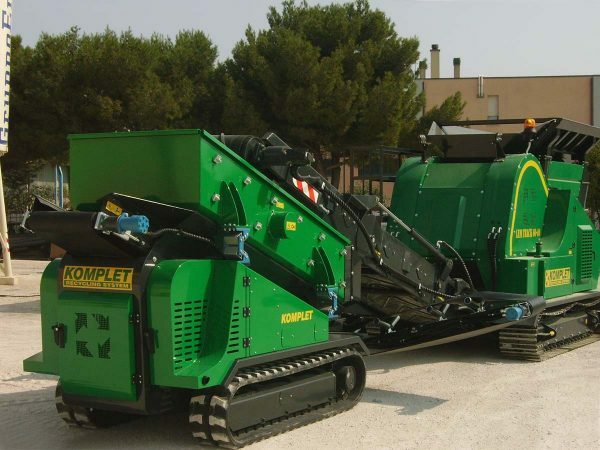 It is fully remote controlled, so as to allow a single operator to carry all feeding and screening operations.